There are 7 bedrooms in the Château. Should your group have a need for additional bedrooms, for example you are bringing older children who do not want to share, or an au pair who would prefer to be independent we can offer you the use of the Gite. The Gite has 2 further bedrooms and is available for a small additional charge of 450 Euros per week. Please note the maximum number of guests must remain at 18. Please also not the Gite is only available for rental by the guests staying at the Château, it is not available separately. For further details contact Angela on +44 (0) 7967 499083 or email angela@chateaucaillac.com. Payment - a 25% deposit is required to confirm booking. Bed linen, swimming and house towels provided. Smoking is not allowed inside the Château. Small dogs may be considered. 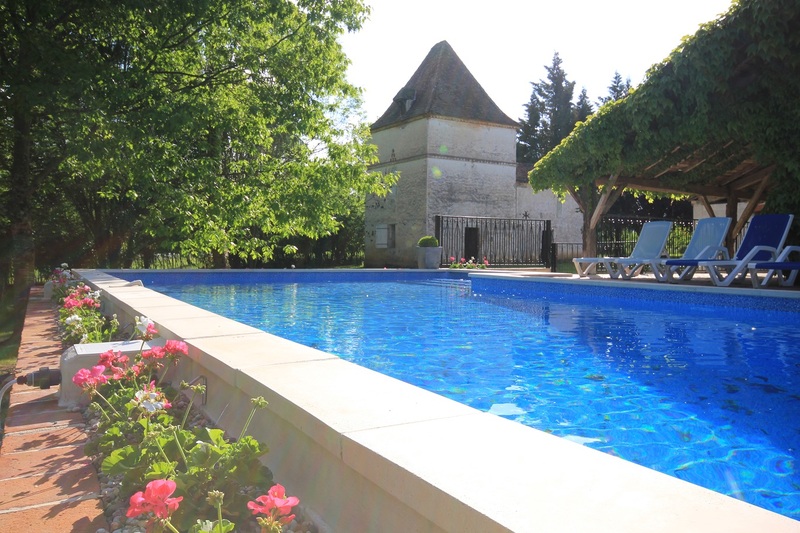 Chateau Summer Rental - for exclusive use of the Chateau and grounds for holiday groups of up to 18 people for one week, Saturday to Saturday. The Chateau is fully booked for holiday rentals for 2019 please scroll down for 2020 and 2021 availability. We have 5 double en-suite rooms available for each Tandem & Turret holiday. The calendar indicates if there are still rooms available on the dates we run our tandem holidays. The balance is payable 6 weeks before your stay. For further details contact Angela on +44 (0) 7967 499083 or email angela@chateaucaillac.com.